Gal 5:1 "It was for freedom that Christ set us free…." A mission trip is about sowing the truth of God’s Word into the souls of God’s people. No matter where we go on earth, no matter how we get there or what amazing sights we see along the way, the highlight of EACH and EVERY trip is the souls we reach and the beautiful faces that express the spiritual hunger of those souls. The eager sweet faces of the children brighten our day. The determined concentrated faces of the pastors strengthen our resolve. The furrowed leather-like faces of the aged challenge us to keep pressing on! Human faces seeking His face are portraits of character and joy! First, we thank all of you who faithfully support and pray that our journeys may continue and be fruitful. This last trip into Asia caused us to apply a principle we learned there previously, "flow like water!" The plans we had when we arrived changed almost hourly as we were working with indigenous people who knew much better than we did when and where it was safe to meet. One conference in a village had to be reduced to just a few hours—but those short hours were precious. As we met with simple mountain people we saw God’s Word planted into hearts that were encouraged and refreshed by the teaching of truth. We wish we could have stayed longer but they are safe and blessed in the care of God our Father. From there we returned to a town that sits at 9,000 foot altitude in a high valley surrounded by mountains. In this place, 25 Lisu leaders gathered from places near and far—some travelling overland for days from a nearby country just to attend the conference. Not only did they travel on foot for long days but some crossed the border without passport or visa—intrepid souls risking all to understand the book of Galatians. We met with these leaders for four full days of teaching. God provided a very comfortable meeting place where they could live behind closed gates through which we were able to come in and out, morning and night, always praying for the eyes of the authorities to be blinded, since we were meeting two blocks from the local police station. Gene taught through the Book of Galatians in simple form so the students could understand, remember, and apply the theme and argument of the book. As he taught, many questions regarding law vs. grace surfaced in the minds of the pastors. Gene was able to answer tough questions regarding our freedom in Christ resulting in many students being released from the chains of spirituality by works! One pastor who studied very intently and seriously the whole week came up to Gene at the end with a big smile and a bear hug. Through the translator he said, "I have studied Galatians many times, but this is the first time I have really understood it. Thank you!" We rejoice in the spiritual freedom they have embraced and will take back to their villages and churches. While we were at the conference we learned that the Lisu churches in this area did not have any children’s ministry or Sunday Schools. What a travesty! One of the highlights of the conference for me was the opportunity to take the pastors, leaders, and women through the biblical mandates to evangelize and train our children in the things of God. I encouraged them to return to their churches and start Sunday Schools, Good News Clubs and share the Gospel with the little ones. It was so encouraging to see the excitement on their faces in understanding this new area of ministry available to them. Please pray that they will follow through on this challenge and let the Lisu children "come to Jesus," for such is the will of God! And pray that we will be able to return and further instruct them in children’s ministry. This is important since oppressive governments often understand better than the churches the soft and receptive nature of a child’s soul. They will overlook the Christian faith of the elderly but place strong penalties on sharing that faith with the young. We must reach the children’s souls with the love of God before religion and governments reach them with the lies of Satan! We were ministering in an area deeply entrenched in Buddhism. The town where we were staying was surrounded by hideous temples and endless prayer flags. One large temple sat on a knoll above our hotel room and adjacent to the temple was a 5–6 story-high golden prayer wheel. This wheel was going round-and-round day and night as people walked alongside it "releasing" their prayers. Several times we saw Buddhist monks on a painful "pilgrimage." They would kneel, clap their hands, prostrate and drag themselves on the ground as they shouted and chanted, only to rise up and complete the motions over and over again, inching themselves along to nowhere! If only they could see that their futile journey ends in eternal seperation from a Holy and Loving God. These actions stood as a vivid visual contrast to the freedom we have found in Christ "by grace, through faith." Our hearts long for these people to be delivered from deception and find eternal salvation and freedom in our Lord and Savior Jesus Christ. Perhaps the pinnacle of this deception is portrayed in this picture taken in a museum we visited. It displays a Buddhist "sky burial" reserved for the elite. Their dead bodies are cut into an exact number of pieces for the vultures to devour, digest, and take to the sky. What you see in the picture is an actual mutilated body and hungry vultures waiting to play their part! The sinful soul of man longs to be free, but freedom can only be found through faith in Jesus Christ. When we see things like this we feel such a strong compulsion to continue the work abroad. This beggar was sitting on the street one day as we passed by. You can see the twisted deformity of his legs. 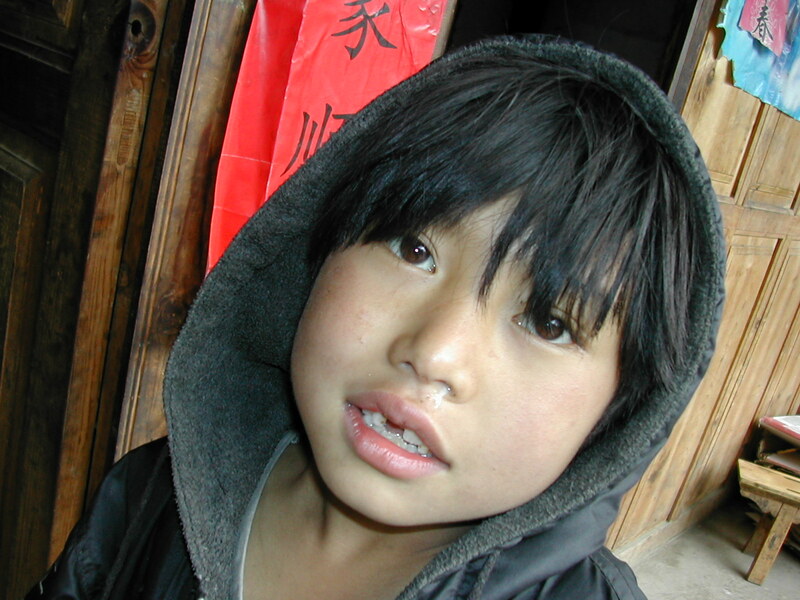 He had a small Buddhist prayer wheel in his hand and we gave him some money and a gospel coin in his language—the only way we had to communicate the love of God to him. We came back about an hour later and with a great big smile he was holding that coin up for everyone to see! Wouldn’t it be grand if we were to meet him in Heaven and spend eternity with him and the Lord! Pray for him as he holds the answer to life and eternity in the palm of his hand. There is one more picture I would like to share with you. Before flying out of a major city, we had a few hours to wander about the streets. Tucked away down a side street we came across a large Christian church with cross, steeple, an inside pulpit, Bibles, and pews. How refreshing it was to spot this treasure! The picture is of the plaque on the street side of the church building. After all these years, there are still people and places where the sacrifice of brave soldiers is remembered and cherished. We suspect that this church was dedicated to the memory of these soldiers because, before giving their lives, they shared their Christian faith—leaving behind an eternal legacy for others to follow. How crucial it is that we continue in prayer for the brave soldiers and Marines of this generation who daily risk their liberty and life to protect and preserve the freedoms we enjoy. Please continue to pray for our son Cody—he will be joining American troops on the ground in Afghanistan soon.